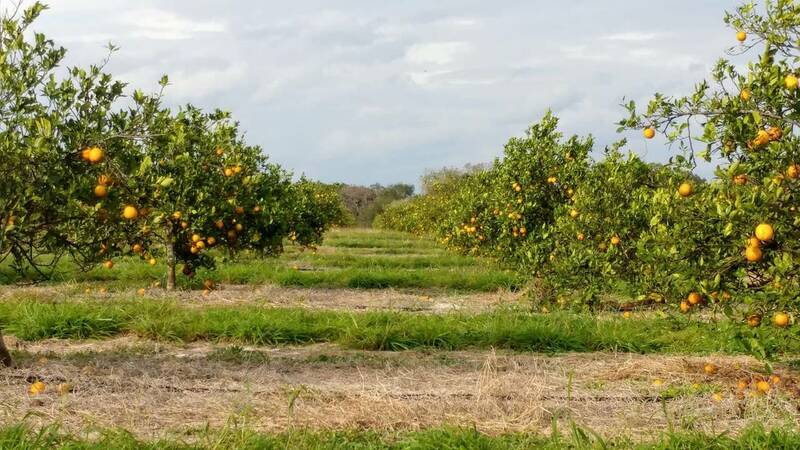 ORLANDO, Fla. - From the Sunshine State's beautiful weather and gorgeous land comes plenty of fresh crops, and some farmers are welcoming the community to come pick their own. There are several U-pick farms and orchards in Central Florida that welcome people interested in gathering their own fruits and veggies. See what fresh produce is available for you to pick where you live, according to PickYourOwn.Org, in the county-by-county list below. According to its Facebook page, Ever After Farms, which is located in Mims, is the largest U-pick blueberry farm along the east coast of Florida. The farm is home to more than 33,000 blueberry plants spread across 17 acres, and produces more than 75,000 pounds of blueberries each year. People come from all over during the farm's picking season, which runs from mid-April through May, to pick some sweet berries, explore the farm during a hay wagon ride and check out its small petting zoo. Also located in Mims is the beautiful Meadors Blueberry Farm, which offers both U-pick and We-pick options for anyone looking to bring home some delicious blueberries. Guests are invited to explore the farm, which has been around since 2009, once picking season begins in April. According to its Facebook page, the farm also offers fresh eggs, honey, a variety of jams and blueberry plants that guests can purchase and enjoy at home. The Market at Rockledge Gardens not only gives visitors the chance to pick their own produce, they can even grow it themselves in the herb and vegetable area next to the Market building. That area has seeds, starter plants and everything else you'll need to grow and pick any herbs, greens, tomatoes, edible flowers or other fresh produce you want to add to your colorful plate. The best part: Rockledge Gardens is dog-friendly, as long as you keep your furry friend on a leash, of course. If blueberries are your jam, you can pick your own at B&G Rucks at $3 per pound, according to the farm's Facebook page. If they're not your thing, you can still plan a visit to the St. Cloud farm to get some fresh tomatoes, eggs or honey. With many positive reviews on Facebook, this spot seems to offer a family-friendly experience. Not only can you pick yourself a lovely basket of berries on the 20-acre U-pick blueberry farm at Double C Bar Ranch, you can also enjoy a ranch-raised beef burger while you're there, according to the ranch's Facebook page. The ranch has been family-owned and -operated for generations and is hosting its first blueberry 5K this year. 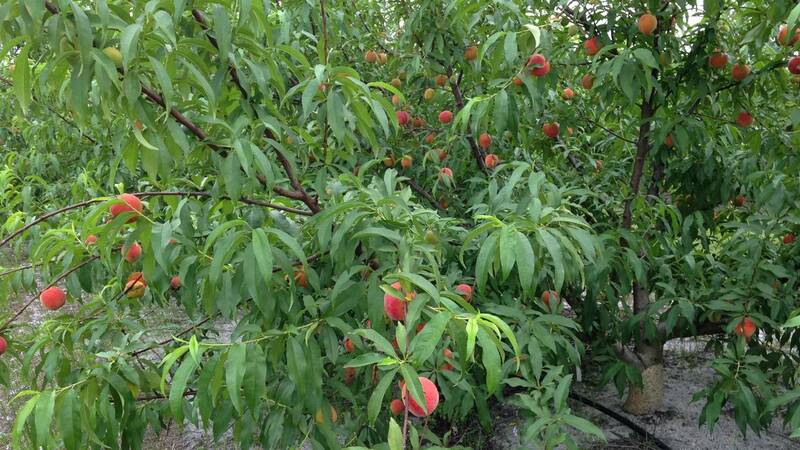 The growers at Deer Park offer a variety of Florida peaches grown on their 6 acres of land in St. Cloud. The peach trees bloom in January, but the orchard isn't open for U-pick opportunities until about early April each year, according to its Facebook page. The juicy fruit is usually available through May, but hours of operation tend to vary depending on Mother Nature, so be sure to call before heading out there. Located between Groveland and Lakeland on Highway 33, Blueberry Hill offers families a fun-packed time when visiting the farm. It's a beautiful spot in Lake County to pick yourself some sweet blueberries, enjoy a hay ride to feed some cows and even fish. The farm offers five types of blueberries, both organic and conventional, which can be picked throughout the season starting at $4 per pound. Not only does Heather Oaks Farm offer the chance to pick your own blueberries from the end of March through April, you can also visit the Lady Lake farm to pick your own grapes. If picking those sweet treats isn't enough, you can place an order for organic, aquaponic vegetables and pick them up there two weeks later, or pick up a dozen farm fresh eggs. Rumor has it -- and by rumor, I mean the farm's website has confirmed -- Heather Oaks Farm will soon offer organic olive oil pressed straight from the owners' olive trees. Calling all fruit lovers. Green Acres, located in Yalaha, has something for everyone looking to satisfy their sweet tooth the right way. Blueberries, peaches, blackberries, honey -- you name it. If you're looking to pick your own goodies, the farm is open from April to July for U-pick blueberries and peaches, which are sold at market price. The weather could affect its hours of operation, so be sure to call ahead. 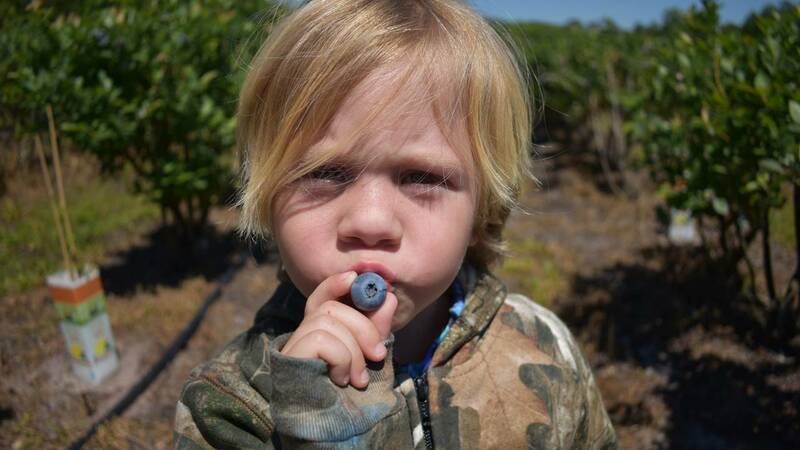 Kicking off the U-pick season in April, Beck Brothers invites Central Floridians to come fill their buckets with sweet blueberries any day of the week. The farm is located in Windermere and invites guests to come visit from 9 a.m. to 5 p.m. throughout the season. If you're interested in what's going on there the rest of the year, the owners tend to update social media pretty regularly, so you know just what to expect before planning your day trip to the farm. If you live in Orlando and want to support your local farmers while spending the day outside with friends or family, you don't have to go far to do it. Pick some fresh strawberries or blueberries at Lavoie Farm. The farm is open from 10 a.m. to 2 p.m. Saturdays and Sundays, unless it's picked out from the last session. The owners are good at posting updates on social media, so check out their page before you head there. Owned and operated by a local father-son duo, Tom West supplies sweet blueberries to the Florida market each year and offers visitors the chance to pick their own during a visit to the farm. The farm is located in Ocoee and looks forward to welcoming the community beginning in March. They offer several types of blueberries, with full descriptions of each type available on the farm's website. 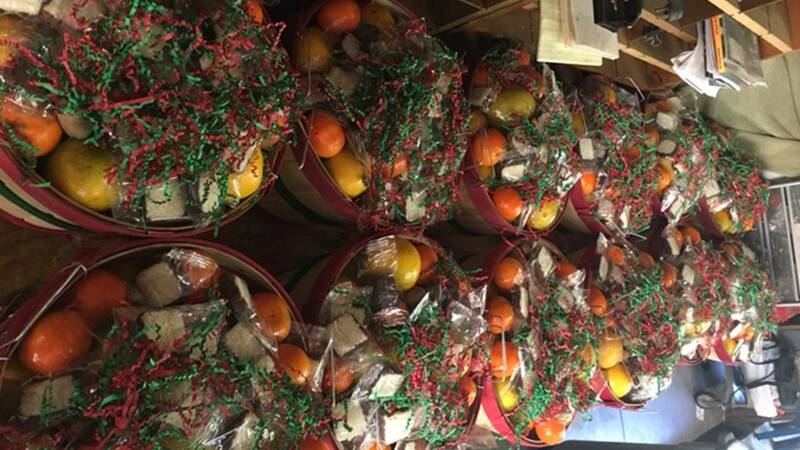 Visit Pappy's in Oviedo if you're looking to enjoy a variety of fruit throughout the year. 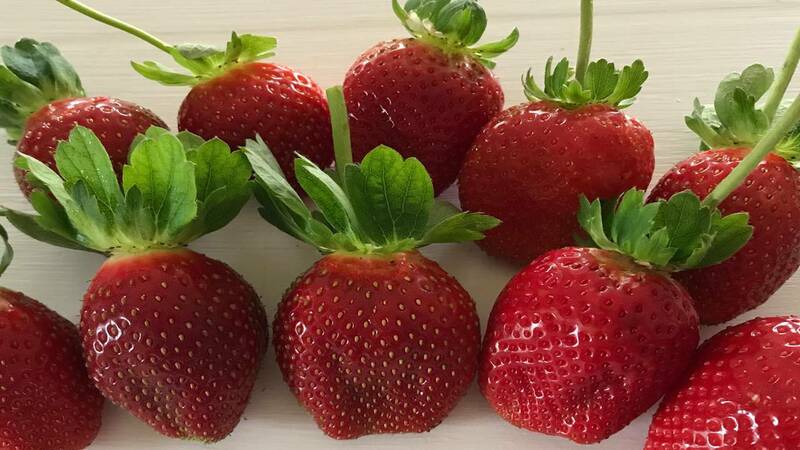 Strawberries are available to pick at $3 per pound from December to April, and blueberries can be picked for $4 per pound from April to June, according to the patch's Facebook page. Pappy's also has citrus available to those looking to satisfy their cravings for sour fruit. The patch doesn't have set hours, but posts updates on social media about two days in advance to share when it will be open for business. It's never open on Mondays. In the heart of Seminole County, Red Hill Groves has so much to offer the Sanford community. It's a gorgeous spot to stop and pick your own strawberries during the season, and there's plenty to do throughout the rest of the year. Though you can't pick your own citrus, as the staff said that quickly becomes a sticky mess, you are allowed to walk in the grove and get a good look at what is available. While visiting the family-friendly farm, be sure to pick up some jellies and jams, Georgia pecans, freshly squeezed juice and delicious barbecue. You can also visit the chickens, rabbits and Larry the turkey. If you can't stop by, check out the grove's online store. 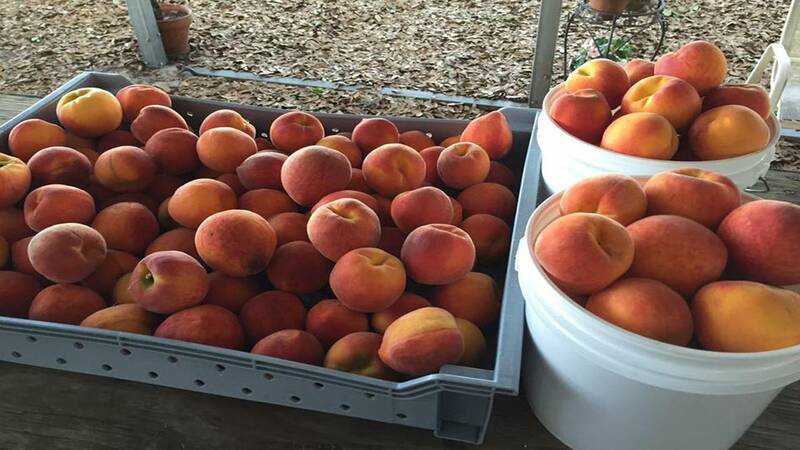 This U-pick spot in Winter Garden just may be your new BFF -- short for Bekemeyer Family Farm. Get it? Since 1920, the family has worked to maintain the citrus grove and farm. According to the farm's Facebook page, its fourth generation is now coming to age, and the farm now offers U-pick strawberries, blueberries and peaches. You can also fill your own bag of oranges when they're available, the farm's Facebook page shows. If you're not looking to pick your own goodies, but still want farm fresh produce, you can stop by during business hours to grab some pre-picked fruits and veggies at its air-conditioned farm stand. Located just outside Ocala, Bay Lake is a great spot to pick your own organic blueberries. The owners work to make sure the farm is ready to offer a family-friendly experience each summer when it's time to pick. The owners seem to get to know their customers out on the farm, and have even shared photos of some of their regulars on social media, thanking them for their continued business throughout the years. The owners also tend to post updates about the berries on their Facebook page, which helps if you're trying to plan a trip there. Why just pick blueberries when you can pick blueberries and hang with horses? Fiddle Leaf Farms doesn't make you choose. The farm is located in Summerfield and is home to Paso Fino horses. The farm offers gallon-sized bags of frozen blueberries throughout the year for $30, according to its Facebook page. If you need ideas on ways to enjoy your fresh berries, the owners often post some inspiration on the page. Celebrating its 100th anniversary last year, Wet Hammock Farm is well known in the Citra community. It's located just 2 miles east of Citra at the Douglass Farm, and offers the chance for guests to pick their own blueberries and blackberries. Its berries aren't the only beauties on the farm, which also boasts other seasonal produce options and gorgeous flowers throughout the year. It appears as though the owners keep the farm's Facebook page updated throughout the year, so visitors always know what's new at Wet Hammock. According to the farm's Facebook page, the owners recently replanted and expanded, and are looking forward to spring. If you're looking to pick some pesticide-free farm fresh fruit, C&W Farms in Lakeland offers five types blueberries and two kinds of blackberries seasonally. 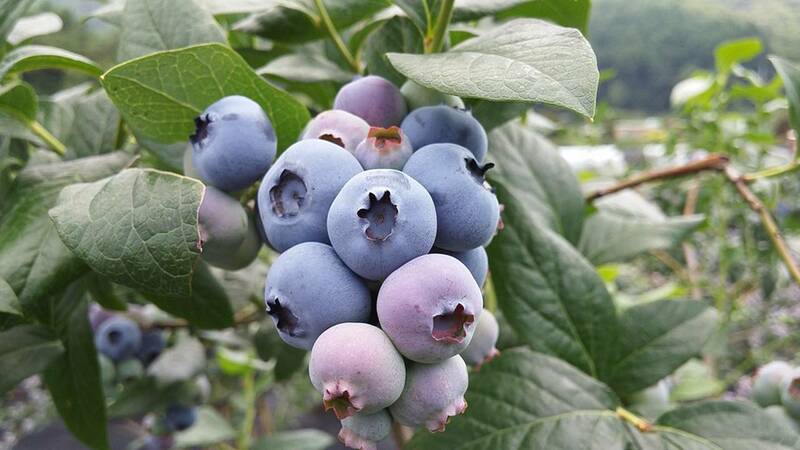 According to the farm's website, blueberry season typically runs from late March through most of May. 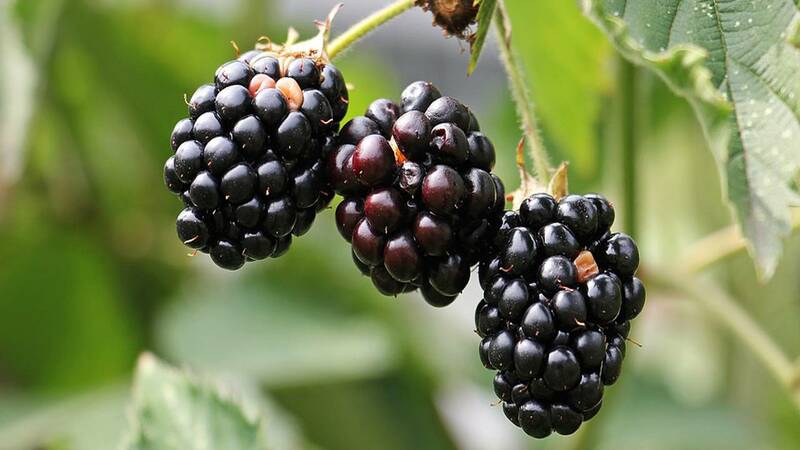 Blackberry season runs from the end of May through July, which gives you and the family plenty of time to get out and enjoy some of Central Florida's natural beauty this summer. If you're looking to plan a day on the farm, check C&W's Facebook page, as the owners update it pretty regularly. You may get a sneak peek at your picking options. You don't have to wait until later in the year to get your picking pants on when it comes to Ridge Island Groves. You can start as early as January with its U-pick pineapple-oranges. Never had one? It's pretty much a seedless orange. Get out there and grab one yourself from 8 a.m. to 4 p.m. Monday through Saturday. That's not all Ridge Island has to offer. The owners also open their doors to the community for U-pick blueberries and peaches in April. What a sweet way to enjoy spring. Providing a unique U-pick opportunity to Central Floridians, Spring Gardens Vineyard offers several different kinds of Muscadine grapes. 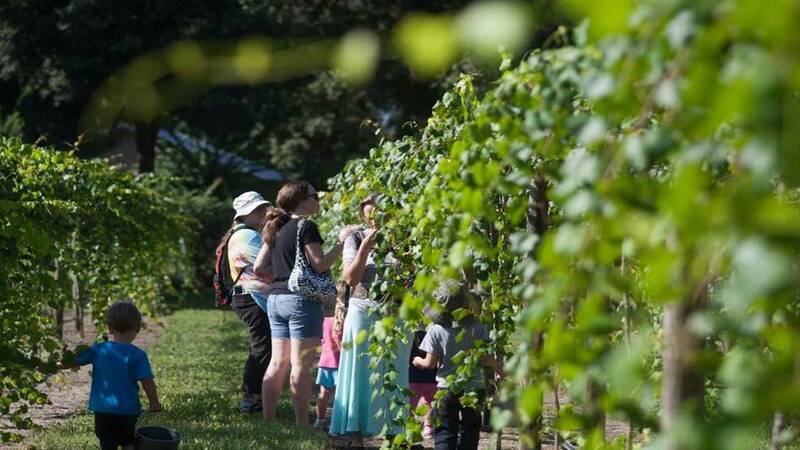 Visitors are welcome to pick their own from about mid-August to the end of September, but the vineyard offers frozen grapes and fresh jellies all year, as long as supplies last. The vineyard operators take pride in making your visit a family-friendly one, even opening a picnic area for you to enjoy a packed lunch and take in the scenery. Freshly made grape popsicles are on the dessert menu, of course. With herbs, spices, fruits and veggies, Vo-LaSalle Farms in DeLeon Springs has just about anything you need to satisfy your U-pick needs. The Crump family started their story on the land in 1883 by planting navel trees on just 5 acres,. Since then, the family has added a hydroponic garden and country store in an effort to diversify, according to its website. Still, the family prides itself on its citrus. Because they have such a variety of produce, they always have something fresh. Check out the "Fresh this Week" section under the U-pick tab on the farm's website to see their best this week. 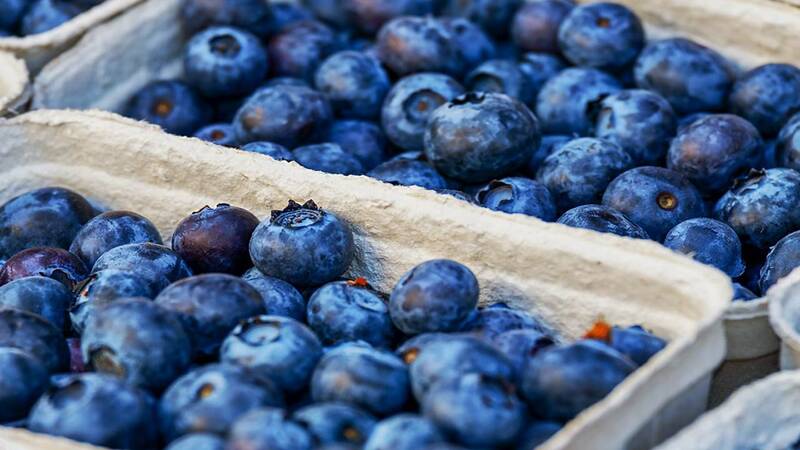 This Flagler County favorite always has something fun happening, with blueberries available for picking from May to July and other seasonal activities scheduled throughout the year. Kick off your summer with fresh berries and a beautiful day on the farm; the fall season with a trip through the crop maze and some pumpkins, gourds, winter squash and flowers; and the holiday season by singing Christmas carols on a hayride in December. This Sumter County spot is just what it sounds like: a hidden gem down a back road in Oxford with berries of all kind. The farm offers both U-pick and already picked strawberries, blueberries and thornless blackberries and has everything you need to fill your bucket once you get there. The farm's owners update Back Road's Facebook page regularly, so you can plan your trip accordingly. Once you've worked up an appetite from all your hard work, you can enjoy some homemade pie or cobbler made fresh from berries on the farm.